Cost to install an electric water heater varies greatly by region (and even by zip code). Get free estimates from water heating professionals in your city. Cost to install an electric water heater varies greatly by region (and even by zip code). Get free estimates from water heating professionals in your city. The average cost of installing an electric water heater is around $1,035. How much does it cost to install an electric water heater? Electric water heaters use electricity instead of fire to heat your home water. With electric water heaters, you won’t use heating oil, propane 1, or gas to create your hot water. They tend to be more energy efficient than traditional storage, gas-fired heaters. There are a few different kinds of electric water heaters to consider when choosing one for your home. The average price to install a new, standard 40-gallon water heater, adding electrical without needing to reconfigure the location of the equipment is $1,035. When installing water heaters there are many different costs to consider, from the price of the tank, to the updating electrical. If you have an electric tank you are replacing, the cost would be lower than if you are replacing a standard gas-fired water heater. Regardless of type, they all run off of electricity rather than gas, propane, or oil, and require electrical components, wiring, and attachment to the electrical panel. Water heaters come in a variety of storage tank sizes, and there are even tankless versions. The size and type of the tank affects the price. While the smallest water heater, either tankless or 20-gallon, may cost as little as $250; the largest sizes, such as an 80-gallon storage tank or hybrid heat pump 2, can run up to $2,000 or more. Specialty tanks that include mobile alerts and smart capabilities have a higher cost, between $600 and $1,900. If electrical circuits and wiring are already in place you might not have to make any changes. If not, it costs about $4 per foot to add electricity to power your unit. If you need 30 feet of wire and a circuit breaker installed that estimated cost is $120. If the space needs any changes, enhancements, or enlargements it will require supplies such as wood and drywall 3. Warranties are usually covered in the regular cost of the water heater, however you can also choose to extend the warranty. Warranty extensions may be provided by the installation company or by the manufacturer. The average cost to extend a warranty for 2 years is $150. Electric water heaters can be storage tanks, tankless, or hybrid. Storage tank water heaters keep hot water ready to go, and tankless water heaters heat water on demand when you need it, without storing the water in advance. Both storage tanks and tankless water heaters might be a good option depending on your home and your family’s needs. Hybrid water heaters switch between heat pump heating and standard electric resistance heat. To calculate your needs, first determine your peak hour demand or what time of day you use the hottest water at home. If everyone showers in the morning or at night, for example, then morning or evening would be your peak hour for demand. The average family of four might use 100 gallons of hot water in a day, between showers, dishwasher, and washing laundry. However, a 100-gallon tank is not necessary since you wouldn’t use all 100 gallons within one hour. Remember, the FHR is how many gallons of hot water is produced in one hour. A 40-gallon tank produces 40 gallons every hour. 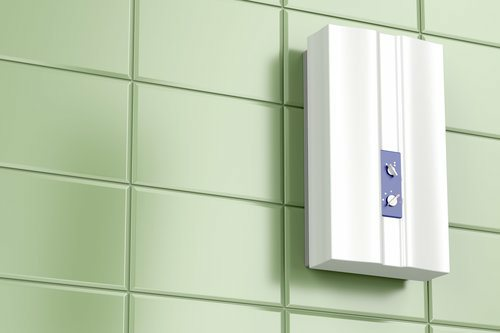 Tankless water heaters provide a gallons-per-minute rating (GPM) because they do not hold water. This type of water heater provides heated water on demand as needed, and often do not run out of hot water the way a storage tank does. Each type of water heater comes with its own energy efficiency information. Energy-efficient electric water heaters can save money on your utility bills. The cost averages between $180 and $550 a year in energy, depending on the type and size of the unit, but also depending on usage (such as the number of showers and people using the hot water). Newer hot water tanks are more energy efficient than older models. Replacing your older model with a new one will save you money on your utility bill. Savings can total anywhere between $50 and $350 a year, depending on the type of tank purchased. The EnergyGuide label, usually posted on the tank itself, will tell you how much energy consumption a tank will demand and the average cost per year to run, or the average savings per year. Hybrids have three or four operating modes for different efficiencies, depending on needs. Efficiency/economy mode maximizes efficiency and energy savings and is best for occasional use. Auto/hybrid mode is best for daily use and utilizes sustained heat to heat water efficiently. Electric/heater mode uses the electric element only to heat water, is really just for high-demand periods (such as when everyone is home taking a shower), and is the least efficient. Some models also have a vacation setting, which puts the unit in a sleep mode to keep it from operating while you’re away. A professionally licensed plumber knows how to properly install water heaters. They are also able to apply for permits if necessary and hire an electrician to handle any required electrical components during installation. A professional can install a hot water heater in one day, and sometimes in as little as a few hours. On average, a professional plumber charges between $45 and 65 an hour for labor. If it takes about six hours to install an electric hot water tank, the labor cost would be between $270 and $390. Electric water heater installation costs generally include the water heater, permit, electrical upgrades, labor, and old water heater removal. The average price in the US to install a new electric water heater is between $620 and $1,020. There are many different brands of electric water heaters. This is a small comparison of some of the top brands. No matter the type of water heater purchased, regular maintenance extends the life cycle of the heater. For storage water heaters, a quarter of the tank’s water should be flushed every three months. Pressure valves and temperatures should be checked every six months, and anode rods may need to be replaced periodically. Test the temperature pressure release valve by opening it to check for water flow. If water continues to pour out when released, replace the valve. You can also insulate the pipes and the water heater tank to maintain temperatures and prevent condensation. To clean the tank, first, drain all the water. Then allow cold water to flow into the bottom of the tank to rinse the sediment out. Continue to add water and drain until the water flows clear. Replace the water in the tank. Maintaining a tankless water heater is a little more difficult and requires more effort. It should be cleaned every 6 months to 2 years. Each water heater comes with instructions on how to clean it if you choose to do it yourself. Generally speaking, you will need to close all water valves and use a hosing line with vinegar to flush it multiple times. A safer option, a professional plumber will have the know-how and equipment to handle this. 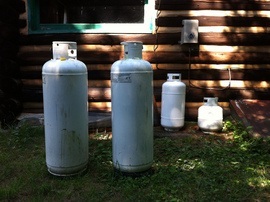 Runs off of natural gas, regular gas, heating oil, or propane. Specialty tanks that include mobile alerts and smart capabilities have a higher cost, between $600 and $1,900. Smart water water heaters allow you to set controls and change the water temperature and operating modes. Solar water heaters use the sun’s energy to provide hot water. You can use a solar water heater instead of just electrical to help save costs. Solar water heaters cost $600 - $2,500. They are more expensive to install, but save money in the long run. An expansion tank is a small tank that sits with the water heater and protects an enclosed water heater system. Some cities require expansion tanks for home owners if they have a closed system. An expansion tank average price is $45. In earthquake-prone regions, water heaters can topple over. Water heaters should be strapped to the wall with special straps if you live in an earthquake-prone region or have loose flooring. Small tanks can also be hung up high to keep them off the floor. Water heater installation and removal requires permits in most states. Plumbers will include this in their quoted price. If an electrician is needed, they may charge a flat rate for the job, or per hour. The average per hour rate is $65 to $85. Brand new wiring and circuitry can take two to three hours, making the total cost for wiring between $130 and $255. Removal and disposal of the old unit are typically included in a quote. Labor costs $45-65 and dump fees are around $50. If you are savvy, you can remove it yourself and even salvage it for parts. For the most efficient installation, measure the old water heater and location and find a heater that fits the old space. While changing a water heater yourself is an option, most people don’t understand the code and needs involved in changing a water heater. Untrained homeowners should also not play around with their electrical panels or wiring. New water heaters are often bigger than older, out-of-date models and require changes to the space in order for the water heater to fit. 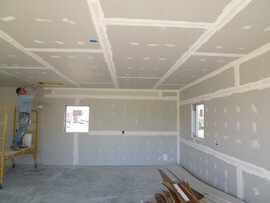 Drywall panels range in cost from $40-$60. Depending on the size expansion, you may need one to four panels. The average lifespan of an electric water heater is anywhere from 10-20 years. Avoid scalding by setting the correct water temperature (120 degrees Fahrenheit). Water heaters are known to leak, especially if they are old. Keep a buffer between them and any storage items you have nearby and watch out for damage to your floors. If you have a gas line you will need to switch to electric by installing wiring and an outlet, or consider installing a gas water heater to save the money. Most water heaters come with a 6-year tank and parts warranty and a 1–year labor warranty. If anything goes wrong with the tank after 1 year, you will have to cover labor between $45 - $65 an hour. After 6 years, parts are covered by the homeowner, or a new tank will need to be purchased. The average price to install a new electric hot water heater is between $620 and $1,035. How much is the labor to install a hot water heater? Labor cost is between $45 and $65 per hour for a plumber. Installation takes between 6 and 8 hours, resulting in $270-$520 in labor costs. Can a homeowner install a water heater? Homeowners should consult a professional to install a water heater. It may require a permit, new piping and ductwork, space redesign, and electrical wiring. How long does it take to install a 40-gallon hot water heater? It should take between 6 and 8 hours to install. How much does it cost to install an electric water heater in my city? Cost to install an electric water heater varies greatly by region (and even by zip code). To get free estimates from local contractors, please indicate yours. 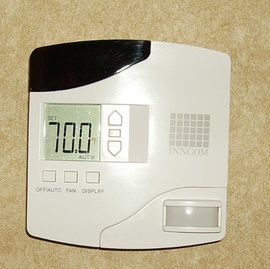 A device used to heat or cool the air in a home by moving hot and cold air to where it is needed. The unit pulls hot air from inside the home in the summer and directs it outdoors, leaving the inside air cool, and pulls heat from outdoors in the winter and directs it into the home, thereby warming it.